We invite you to contact us if you have questions about this policy. You may contact us by e-mail at staff@atlantacommunities.com. You may call us at 770-541-7575. Please note: this policy applies only to information collected by AtlantaCommunities.com online, as specified below, and does not govern or apply to information collected or used by Atlanta Communities Magazine, Inc. or its affiliates through other means. By submitting your information on AtlantaCommunities.com, you are granting permission to be contacted by phone, mail and/or email by AtlantaCommunities.com and/ or associated advertisers. What personally identifiable information do I provide to AtlantaCommunities.com? AtlantaCommunities.com asks you to provide various types of personally identifiable information to enhance your experience on our site. How does AtlantaCommunities.com use my personally identifiable information? Our primary goal in collecting personally identifiable information is to provide you, the user, with a customized experience on our Web site. This includes personalization services, interactive communications and many other types of services, which are completely free to you. AtlantaCommunities.com uses the personally identifiable information you provide to us in several ways. Some examples follow. Account status (including confirmation of registrations). If you do not wish to receive the foregoing and therefore unregister from the site, please contact Atlanta Communities Magazine, Inc. and ask to have your information deleted. Once your information has been deleted, you will no longer have access to the members only features of AtlantaCommunities.com, however, you may reregister at any time. 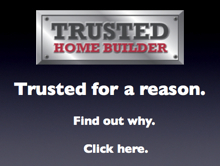 Provide you with information regarding new home builders and/or services. Finally, if you have subscribed to Atlanta Communities Magazine, we reserve the right to send you offers and information about Atlanta Communities Magazine and its affiliates. However, if you no longer wish to receive the foregoing, please contact Customer Care to request removal from our list. Advertisers in Atlanta Communities Magazine may contact you via email or mail in reference to communities that matched your subscription criteria. To be removed from an Advertiser's list, please contact them directly. Atlanta Communities Magazine, Inc. provides Advertisers with your First Name, Last Name, Subscription Date, Address, City, State/Province, Zip/Postal Code, E-mail Address, Interest in Active Adult Communities, Interest in Condominium Listings, Your Location Of Interest, The Price Range You're Most Interested In, When Are You Planning To Buy and How You Found Out About AtlantaCommunities.com. Further, if you told us in your AtlantaCommunities.com account preferences that you would be interested in receiving e-mail from us, we may send you Email Alerts about Atlanta Communities Magazine, Inc., Inc. products, promotions, or services as well as on behalf of other companies. However, if you no longer wish to receive any of the foregoing, you may call us at (770) 541-7575 or email at staff@atlantacommunities.com. In order to provide services free of charge, we display advertisements. AtlantaCommunities.com delivers advertisements on behalf of advertisers. Some of these advertisements are targeted. Advertisers give us an advertisement and tell us the type of audience they want to reach. We take the advertisement and display it to users meeting that criteria. In this process, the advertiser never has access to individual account information. 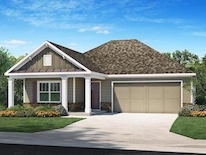 You may also receive special offers via e-mail from AtlantaCommunities.com using your stated preferences. AtlantaCommunities.com also does research on our users' demographics, interests and behavior based on the information you provide to us including upon registration, on order forms, during a promotion, as well as from our server log files or from surveys. We do this to better understand and serve our users. This research is compiled and analyzed on an aggregated basis and AtlantaCommunities.com may share this aggregated data with advertisers or other businesses. In addition, under confidentiality agreements, AtlantaCommunities.com may match user information with third party data. Do other companies or people have access to personally identifiable information I provide to AtlantaCommunities.com? When you are on an area of AtlantaCommunities.com and are asked for personally identifiable information, you are providing that information to Atlanta Communities Magazine, Inc., its divisions or affiliates, or vendors providing contractual services for AtlantaCommunities.com (such as hosting vendors and list managers). If personally identifiable information is being provided to and/or maintained by any company other than these, our policy is that we will not transfer that personally identifiable information unless notice is given prior to transfer. Promotions that run on AtlantaCommunities.com may be sponsored by companies other than AtlantaCommunities.com or may be co-sponsored by AtlantaCommunities.com and another company. Some or all personally identifiable information provided by you during a promotion may be shared with the sponsor. If information will be shared, we will disclose such sharing prior to the transfer. You can decide not to participate in the promotion if you don't want your personally identifiable information to be shared. In certain circumstances, you may not be able to participate in a particular promotion if you chose not to share personally identifiable information. Currently, most AtlantaCommunities.com promotions are limited to U.S. or North American residents. AtlantaCommunities.com advertisers, or Web sites that have links on our site, may also collect personally identifiable information directly from you. The information practices of companies collecting data on our site or Web sites linked to AtlantaCommunities.com are not covered by this privacy statement. If we run competitions or contests on the site, you may be required to provide additional information such as your telephone number and address in order to participate. The exact rules may vary in each case but the specific rules for any contest will state how that information may be used. If you told us in your account preferences that you would be interested in receiving e-mail from us, we may send you e-mails about AtlantaCommunities.com products, promotions, or services as well as on behalf of other companies. You can change your account preferences at any time. In addition, in each advertising email you will be provided an ability to opt-out of receiving future emails from the advertiser. Web servers serving AtlantaCommunities.com automatically collect certain non-personally identifiable information, such as which pages each user visits and the domain name (e.g., earthlink.net) of visitors. This information is used for various purposes including internal review, to tailor information to individual visitors, and for traffic audits. We also provide this information (as well as information from third-party market researchers) about our users on an aggregated, anonymous basis to our advertisers. What are cookies and how does AtlantaCommunities.com use them? Do not send any information about yourself to us - including information like your name, address or e-mail address. In general, we do not knowingly collect personally identifiable information from children under 13. If, in limited circumstances, we do knowingly collect personally identifiable information from a child under the age of 13, we will do so only with verified parental consent prior to collection. In the event that we learn that we have collected any personal information from a child under the age of 13 without verification of parental consent, we will delete that information from our database as quickly as possible.